A book I had been asked to review arrived at the house the day we were packing to leave for a weekend away, so I popped it into the knitting bag as we went out the door. Since I woke up the next morning at 5, I pulled it out, and switched on my little book light to let my husband sleep since the ceilidh the night before went late. 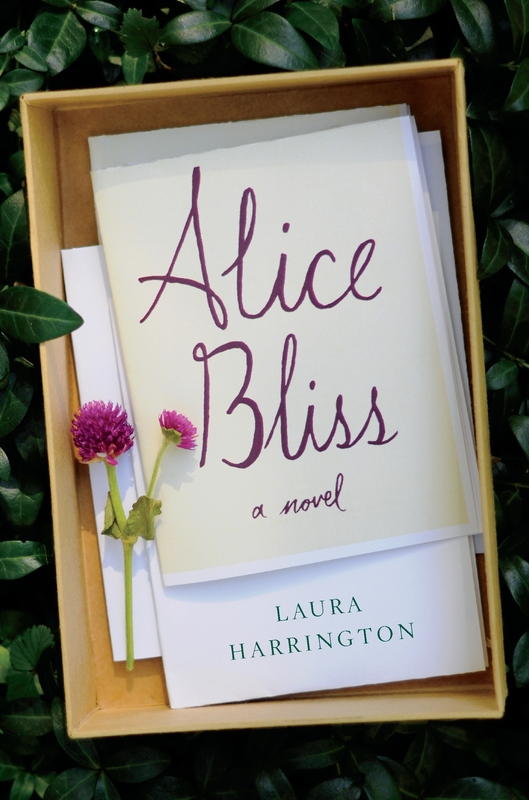 The book – Alice Bliss by Laura Harrington. Briefly (and without giving out the ending) this is the story of a young teenage girl, whose Reserve/Guard dad has been activated for service in Iraq during the peak of Guard deployments. Her mother Angie’s reaction to the deployment – Alice’s relationship with her mother and father, and the boy next door – her little sister Ellie who is 8 going on 37 – the Gram who gives her strength and love; this family is everyone’s family. For the women reading this – remember when your daddy was the perfect hero, the greatest strongest person, the only one who understood you? And your mother didn’t get it, she was just so… so impossible? This is Alice’s reality. She is her daddy’s girl and when he goes away, her life changes in more ways than she can handle. If I didn’t know better, I’d say this was written by a member of a current military family; from Angie’s inability to function in the home; Alice’s desperate wearing of her dad’s shirt until it reeks; the “backwards dinner” or the cereal meals, it’s written with an empathetic voice and understanding for these people that reverberates through the book. The box of letters from her dad written for her to open “just in case”, is one of those rites of passage that the military community understands without question, but that most civilians wouldn’t be able to comprehend. Crying while I read a book is not a common occurrence, but these characters were my family and I wept for them, laughed with them, and ached to comfort them when they hurt. As one of the 1% who are being impacted by the multiple deployments, these people are mine, this family represents all those I’ve seen at the farewells and the FRG meetings; those spouses who leave the comments on Facebook pages asking for help, for understanding, for a shoulder to lean on for just a few minutes. If Ms. Harrington can introduce the rest of the country to these families, if her words can help the other 99% understand how we are functioning, can shine a light on the situations we find ourselves conquering; we will all stand in line to say thank you and I’ll be first! Putting the book down was painful, although at times reading it was almost agonizing. If you are the parent of a teenage girl you’ll recognize Alice; if you are a military family member, you’ll recognize the family. Great review of a powerful novel. I love your mil spouse site!